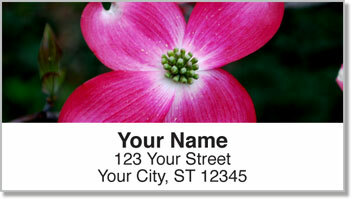 Stunning close-up photography of pretty pink blossoms on this set of return address labels will add a unique look to your outgoing mail! Pink flowers are often used to symbolize a love that is young and fresh. These images will remind you of the dream that a crush could turn into something deep and long-lasting. 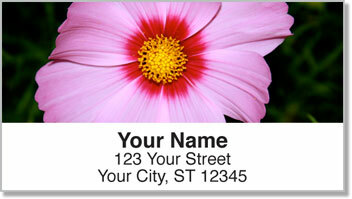 Pink Flower Address Labels are a great choice for those who are young at heart and still believe in the power of true love. This convenient product from CheckAdvantage also lets you cut out time wasted writing your name and address on every envelope. You gotta love that! 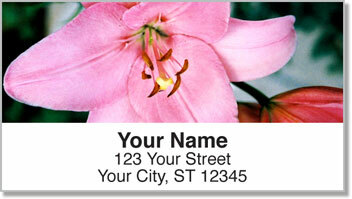 Order your own Pink Flower Address Labels today! 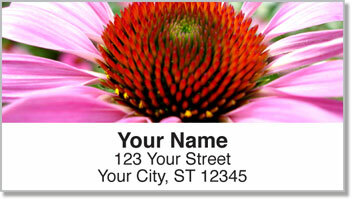 This floral design is also available as a set of matching personal checks.